I’d love to read more articles from you connecting the Stoic practice of entering into relationships with virtuous role models. This has always struck me as a core practice for Stoics, because close friends, or close relationships, in the practice of self cultivation function akin to the journaling practice Seneca recommends. Except relationships (at least if they are virtuous) are better than any journal, because they can see you (and your virtues and vices) more independently of your own biases. Thank you so much for this post. I did, in fact, have a fight with my wife this morning. I left the house wondering how I could continue to tolerate the situation. Thanks to your case study 1, I see it differently. She is virtuous without a doubt and will continue to test and hopefully improve my own character and virtue. Thanks for this, Massimo. My 35-plus year relationship with my Ugandan wife is a blend of examples one and two. She has amply anointed my head with figurative night jar contents over the years. Each time I deserved it and every time it made me a better person. Thank you Massimo for a very interesting piece of writing again. Seneca was very lucky, haha. We sure don’t see cynic relationships often these days, though I’m sure they exist. Three very well chosen case studies and the insights and personal additions added tremendously to the discussion. 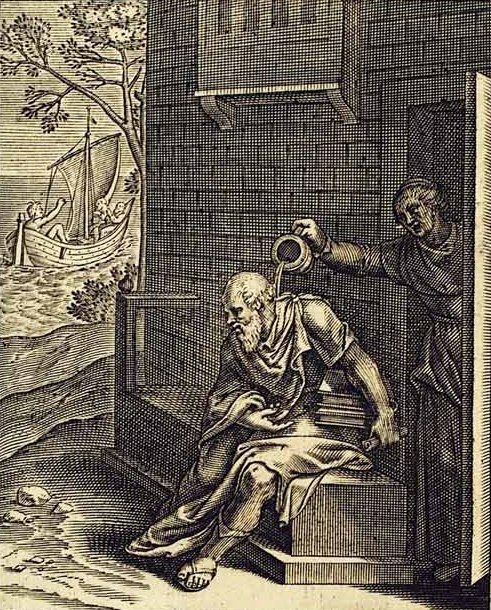 On Seneca: He probably married Pompeia Paulina in 50 CE after his recall from exile. He was also married before this but never mentions his first wife or what happened to her – as he mentions his son dying in his mother’s arms 20 days before his being charged with adultery and exiled in 48 CE, it is likely that she was no longer in the picture by then (maybe dying in childbirth 2 years previously). Paulina was much younger than Seneca (probably about 30 years younger) and from a very wealthy family – her father being Prefect in charge of Grain Supply and her brother being a Legate in lower Germania – Seneca’s “On the Shortness of Life” is addressed to his father in law and written around 55 CE – suggesting that he retire and dedicate his life to philosophy. There is also a lost work that Seneca is said to have written De Matrimonia. I rarely comment being much more inclined to listen and learn. I feel moved to add my pennyworth because I am and have been for nearly thirty years in a Crates/Hipparchia relationship and can vouch for the fact that it is pure gold (both of us had a variety of other relationships in our younger days – some of them were immense fun and others were huge mistakes in hindsight but all were valuable lessons) This type of relationship should not be a radical concept – it allows a wonderful level of personal development of both partners even if they adhere to different schools of philosophy when it comes to dealing with life!